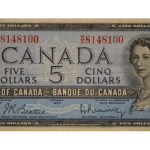 November 21st, 2015 is the final auction of the year for Geoffrey Bell Auctions and this is looking to be an exciting sale of Canadian coins and banknotes along with a new charity component. Almost 800 lots are up for grabs in this sale with a wide range of highly collectible and rare material ready to hammer on the auction block. This auction has been carefully prepared and the quality and quantity of incoming consignments for this sale has been over whelming. Live internet bidding is available through iCollector.com and GBellAuctions.com with absentee bids currently being accepted and auction day bidding on any internet enabled device. There’s always a palpable excitement around the Geoffrey Bell Auctions Ltd offices as the start of any offering draws near. The energy in the room for the 2015 Moncton Sale is electric and being able to have a major auction right in Atlantic Canada, their home turf, is important to the Bells. An exciting addition to this auction is a charity component. The Moncton Sale will feature a number of select items from their own inventory with proceeds benefiting “The Friends of the Moncton Hospital Foundation”. This challenging economic environment has made it difficult so the Bells feel it is of great importance to give back to the community. The Moncton Hospital was front and center when Brian’s father, Geoffrey, was taking treatments for cancer which was followed by serious complications. “It gave me an opportunity to see what was involved, and the people who saved my dad’s life. I am forever grateful for the superb care and professionalism that the hospital provides for my family”. 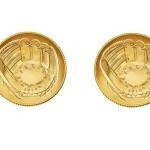 Among the highlights is a nice selection of J.O.P Dollars starting at Lot 299. The initials J.O.P stand for Joseph Olivia Patenaude, of Nelson, BC, who counter stamped silver dollars from 1935 to the early 1950’s. One of the highlights is a 1948 Silver Dollar ready for bidding at Lot 308. This polished coin is graded ICCS EF-40 and carries an estimate of $1000 – $1200. This auction is a must look for collectors of Silver Dollars and will fill in many spaces in their collections. 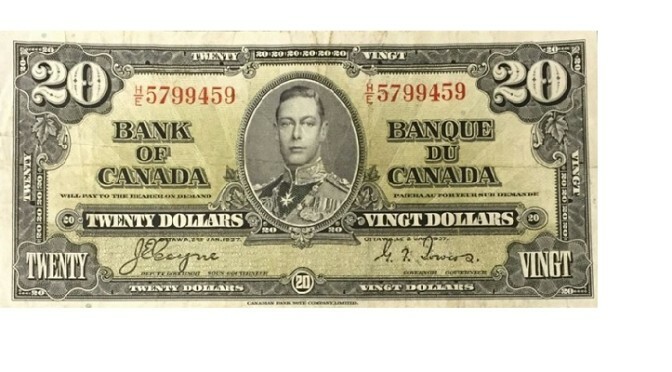 There are two Bank of Canada 100 Dollar Banknotes up for grabs that are getting a lot of attention. First up is Lot 399 and this presents a 1935 note that is CH BC-15 and a serial number of A08723/D. This carries a competitive estimate of $3000 to $3500. The second one is at Lot 418 and is from 1937. 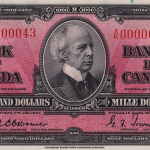 This Bank of Canada note is CH BC-27b with serial number B/J3967082. It is graded PCGS Very Choice New 64PPQ and carries a great value estimate of $1000 to $1100. 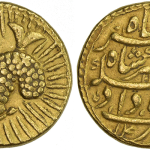 Both banknotes have bidding activity before the auction and the action will be brisk. Lot 566 is a highly sought after 1882 Dominion of Canada Four Dollars banknote, CH DC-10 that is VG/F. The center is weak at center with a tear at the top and some holes, nevertheless this is a challenging note. Bidding is opening at $2000 on this lot. A few lots later at Lot 571 is a 1900 Dominion of Canada Four Dollars banknote. This is CH DC-16 and is in VF condition with minor repair at top of center. Bidding here is opening at $1900 and this is looking to be a great buy. All lots in this catalog are available for online browsing with photos and descriptions. Absentee bidding is currently open in the online catalog. It is a goal of Geoffrey Bell Auctions to have others think about charities when disposing of their collections, as Father Bernie O’Connor did in 2009 when donating the proceeds of more than a half million dollars to the Ferguson Foundation. The auction is Saturday November 21st at the Coin Cabinet in Moncton, NB, and begins for live bidding at 5PM Atlantic Time. Geoffrey Bell Auctions and iCollector.com are excited to bring this auction to a worldwide audience, and very pleased to be working with the Friends of the Moncton Hospital Foundation to benefit an amazing cause.